"Evoland 2 in a nutshell," reads a discussion post in the Steam community. "The First Top Down Action Adventure Bullet Hell Platforming Arcade Stealth Match 3 Puzzle Dungeon Crawling Fighting Strategy Turn Based RPG game!" Which I have to agree with this poster – Evoland 2 IS the only game I can think of that contains all of those things at once, and it's probably with good reason. Most developers spend their development time making sure their main mechanic is right, and it's part of why you don't see most games just suddenly shift into another genre out of nowhere. We've had blended genres, sure, with RPG and leveling mechanics seeping into seemingly every genre out there, but with the exception of fun little throwaways like Bayonetta's Space Harrier segment, giant mechanical shifts are super rare. Getting one genre right is hard, so why spend so much time trying to get multiple ones? If Evoland 2 had just been its main two mechanics, I'd actually have been much happier with it. The actual gameplay styles as something akin to Children of Mana, or a top-down Zelda, and while it's simple, it's certainly not disagreeable. The game's main gimmick comes from the ability to travel through time, which swaps out the graphical style – the past having less resolution, all the way to a blocky monochrome presentation, while the future is full 3D. The gameplay itself doesn't change through the time travel, but it does open up a lot more fun story opportunities. Like Chrono Trigger, it's a game where you see how the past changes the future, then rush to stop it. Stories like this are always fun, and when the game finally gives you the ability to move through periods at your own pace, it opens up a lot more and becomes a more enjoyable game. If only it stayed like that it would be charming, if perhaps forgettable. Earlier this year I reviewed Retro City Rampage, and honestly I could copy and paste certain parts of that game's review and just put it back in here because Evoland 2 is just endlessly concerned with references, and is really trying to make this part of its thing. All those genres mentioned above? That's because the game just stops and turns into those genres for what's usually a teeth-grindingly mediocre experience. Because when I walked into the area where it became clear the game would suddenly turn into a turn-based tactics RPG, I was pretty excited because that's one of my favorite genres and here, after having turned into poor version of other genres before, I was certain that there's no way they can screw up one of these, right? But the simplicity of the experience they created for it winds up just helping you realize those small things that the these games usually have that this one's just missing. All attacks hit, so you don't have any kind of 'hell yes!' moment when a clutch miss or block helps you rally and take victory. There's nothing to suggest what kind of damage you might give, so you can't prioritize your attacks with the right people. You're basically just doing the most basic aspect – maneuvering people and making them attack – without any real mechanical nuance. I feel like tactics RPGs are one of the easier genres to get something like this right for, so what about something like the fighting game it turns into? Feeling like a stiff mid-90s Street Fighter knock-off and very much looking like it (the enemy guy even stands just like Akuma), the motion never feels right, and though you can throw fireballs and all, it never has a real visceral oomph to it. It's just 2 rounds, but it's two rounds of a bad game dumped in the middle of something I already found just OK.
And it just keeps happening! You get somewhere and suddenly the game turns you into a lesser version of another genre that you then have to suffer through to continue the story. The best I can say about these is that some of them I didn't mind (a Professor Layton-style area, for example), but otherwise it's a game that's using these references just to make you go "oh I get it!" and then move on. Even in that case they overstay their welcome, and a Chrono Trigger area in particular was extra painful because the stupid thing kept glitching out on me. If that's not enough the game also makes sure that you catch that it was making references, pausing to go "Hmm, who knew putting on a cardboard box would help you sneak around?!" or "Maybe we should leave old mechanics like this in the past where they belong." It drives me crazy, and I enjoyed the story, so when the game just stops to endlessly and fiercely wink at you, it really feels like a game I have to power through to get anything else good. It's clear that the developers have a lot of reverence for old games, but the work on the actual gameplay just doesn't do well enough to pass on why we should feel the same. Instead you're just going from one lesser version of a genre to another, a clear example of when less is more. Maybe if the developers had focused on making their core mechanics stronger, or hadn't tried just so hard to be the cleverest referencers this side of Ernest Cline, I'd have enjoyed this more. Instead, it's another in the pantheon of indie games just taking from the past, without helping to find a good path for itself. Episode 3 wound up being a lot closer to what I feel is the ideal for an episode in this series – a fun, high-stakes adventure that throws in interesting elements of the license to create cool moments. There's more to Minecraft than just the zombies and spiders that are constantly ambushing you, and the small bits that add to this world so many of us already know are really cool. The story driving it is just getting more and more intense, and with such a cliffhanger, the last episodes of this have a good path laid out for them. OlliOlli 2 is exactly what you want from a sequel: refinement, addition, and an evolution of the game before it that is just a better game. It has additions that, upon looking back, you can't understand why it wasn't in the original, and becomes that point where you can tell people "nah you can skip the first, just go straight to this one." The first game was excellent. OlliOlli 2 is better. Citizens of Earth can't keep up with the promise of its story and falls flat after just a few hours. Evoland seems like a fun experiment that would have been more exciting to have seen go all the way with its idea of being homage. While I was playing this game I only hoped to see the game get more and more in-depth but sadly hits a limit that fails to be anything worth bragging about. 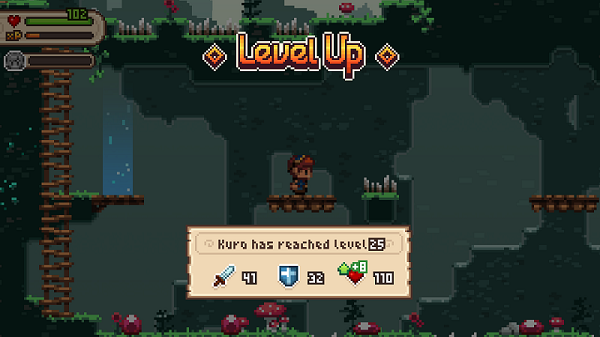 Evoland is by no means a bad game but really just feels middling once you really get into it. This game could serve as a good stepping stone to something great but really only feels like a stepping stone that can only be recommended to fans of a good homage. Evoland can be found on GOG.com for $9.99. A stark and slowed down shooter that behaves more like a puzzle game, filled with neat out-of-game menus and secrets to find, Superhot is one of the coolest things I've played in a long time. I've been excited since their in-browser prototype hit, and they expanded and delivered on the promise superbly. While it definitely didn't overstay its welcome, as soon as Superhot ended I wanted to do it all again. It's fun, looks great, and is the best action movie simulator I've ever played.